544 p., 15,6 x 20,9 cm. Edited by Hans-Christian Lucas and Otto Pöggeler. With contributions by Wolfgang Bonsiepen, Jacques D'Hondt, Eugène Fleischmann, Rolf Grawert, Walter Jaeschke, Christoph Jamme, Heinz Kimmerle, Gertrude Lübbe-Wolf, Hans-Christian Lucas, Kurt Rainer Meist, Zbigniew A. Pelczynski, Adriaan Peperzak, Guy Planty-Bonjour, Otto Pöggeler, Ludwig Siep and Norbert Waszek. 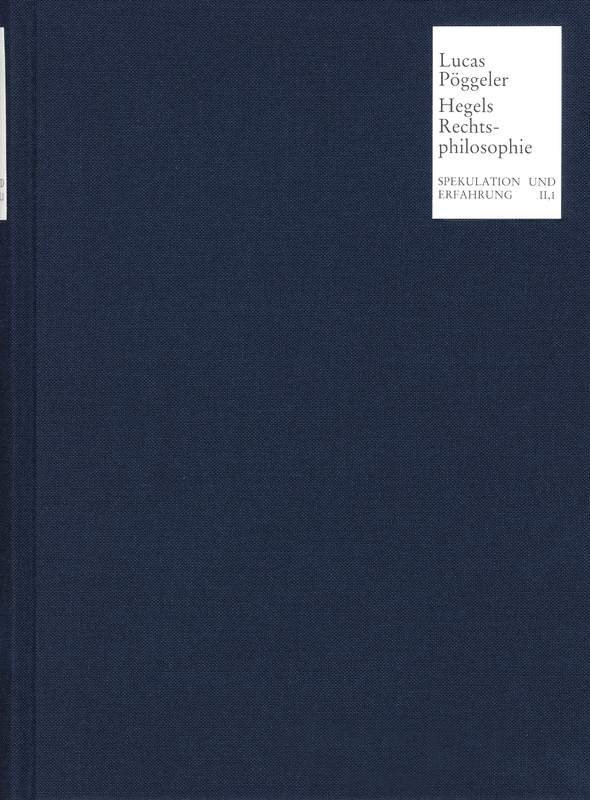 The objective of this volume is to change the image of Hegel as a philosopher of the Prussian state, as one who, concerned only about his career, spoke in praise of the king of Württemberg, and as an author who, under the influence of the Carlsbad Decrees, completely changed his philosophy of right. In addition to historical studies, the volume presents a number of predominantly systematic works in order to shed light on the history of the development of Hegel’s philosophy of right as a whole.